Plus the genius addition my mom makes to her pumpkin pie. 1. Add an &apos;acid&apos; to your Thanksgiving dinner. Samin Nosrat, author of Salt, Fat, Acid, Heat points out that acid is an essential flavor element, but is often left out of Thanksgiving dinners. An easy swap to make is to replace cream or butter in the mashed potatoes, with crème fraîche or sour cream to add a richness to the meal. 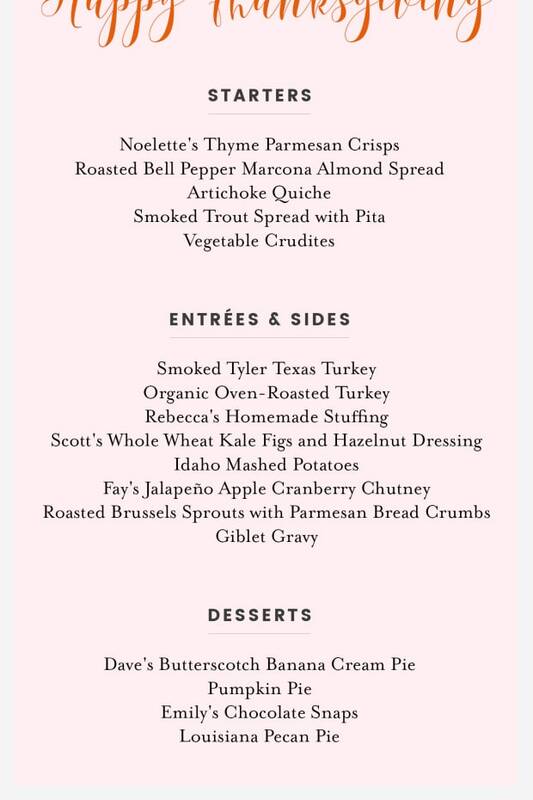 Here&apos;s her full Thanksgiving menu. 2. Make sure you have the right tools ahead of time. Now is the time to order a turkey roaster (a great option for a small apartment, or those in need of a second oven the day-of), instant-read thermometer, and gravy separator. 3. A lot of the flavor of gravy comes from the way you season your turkey, but if you haven&apos;t added enough salt or spices to the bird, it may result in bland gravy. If this is the case, add a dollop of miso to your gravy for a depth of umami-rich flavor. 4. Plan out your timeline in advance, to get the most out of the day-of. Now that we&apos;re almost exactly a week out, now is the time to tidy your home and make things like pie dough ahead of time. Here&apos;s the timeline I follow each year. 5. Geoffrey&apos;s often in charge of cocktails on Thanksgiving (point him towards a liquor cart and he&apos;ll make a mean Cranberry Old Fashioned), which works great for our small family. But when my parents invited a number of friends last year, we turned to a make-ahead punch which was just as delicious as individually shaken drinks, without the hassle (plus, guests could serve themselves). This Apple Cider and Rum Punch makes enough for eight. 6. I always begin lighting Diptyque&apos;s annual holiday candle on the first of November, but another way to make sure your home smells amazing as guests arrive is to put a pot of mulled wine on the stove. It will fill the air with an irresistible, cinnamon-y scent and makes a great welcome drink. 8. Each year, my dad brines and roasts a turkey—but we also always order a smoked turkey from this family-owned operation out of Texas. Having an extra turkey on hand allows guests to be more selective about their favorite cuts, but also takes the stress off in case the homemade one doesn&apos;t turn out (which, fingers crossed, hasn&apos;t happened to us yet!). 9. One year, my mom added sprinkles to her pumpkin pie crust. It was such a simple addition, but was also an unexpected surprised that elicited oohs and ahhs from her guests. I also love the idea of adding chocolate to the crust, though I have yet to try it! 10. I&apos;m a huge fan of making an entire turkey—but if you don&apos;t want to, it can just add unnecessary pressure to the evening. These stock-braised turkey legs and butter-roasted breasts are both excellent alternatives to a full bird. 11. I&apos;m often baffled by the number of articles after Thanksgiving with tips about what to do with leftovers, since you really can&apos;t improve upon eating them straight from the fridge. But this warming leftovers soup, from Claire Thomas of Sweet Laurel Bakery, is among the best options I&apos;ve seen, for when you can&apos;t possibly eat another plate of mashed potatoes, cranberries, and turkey. 12. Nothing creates a mood more effectively than a strong playlist. Take time to make yours ahead of time (and consider adding these songs to it). 13. 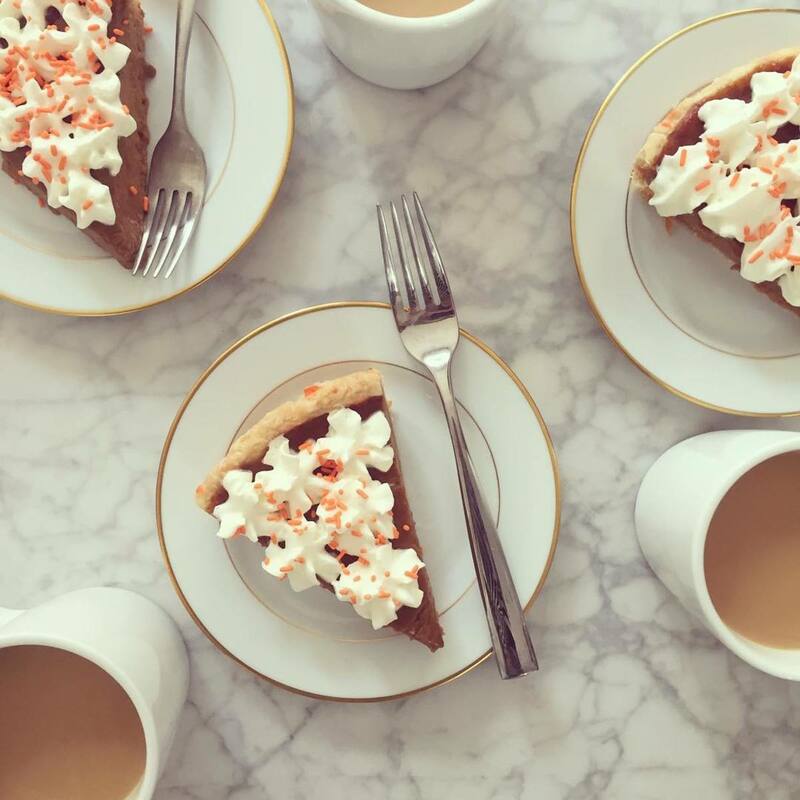 Planning and executing a Thanksgiving dinner can be incredibly stressful—but don&apos;t forget to enjoy it! Each year, my dad creates a memento of the evening in the form of a menu. It often involves some form of ClipArt, but most importantly, lists out each person&apos;s contribution to the menu along the lines of "Fay&apos;s Jalapeño Cranberry Chutney." I&apos;m instantly transported to the meal each time I look at one from a past year. 1. As a guest, consider bringing a post-dinner digestif rather than a bottle of wine (chances are they already have plenty). Bon Appetit recommends Varnelli Amaro Dell&apos;Erborista, or you can go for a classic brandy which feels appropriately festive. 2. I always appreciate a guest who brings a gift I can enjoy the next morning, like muffins or jam and bread (best eaten before tackling that pile of dish from the night before). 1. Wrap washed and dried salad greens in a dish towel. 2. Pack each component (dressing, croutons, etc.) in ziptop bags or jars. 3. Store and carry in the same bowl you’ll serve in. 4. Assemble just before serving. 4. Don&apos;t forget what the holiday&apos;s all about! 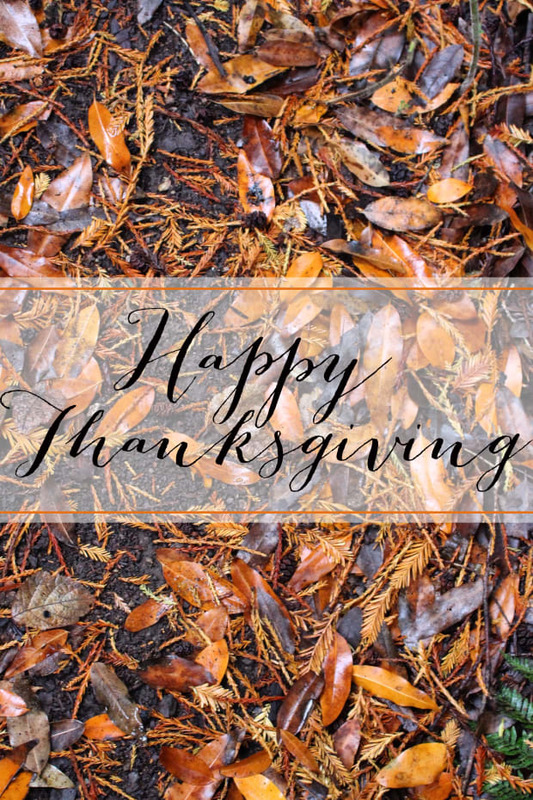 As a guest, write "thankful" notes instead of "thank you" notes after the dinner—thanking your host not just for the beautiful turkey, but also for all the reasons you appreciate them. 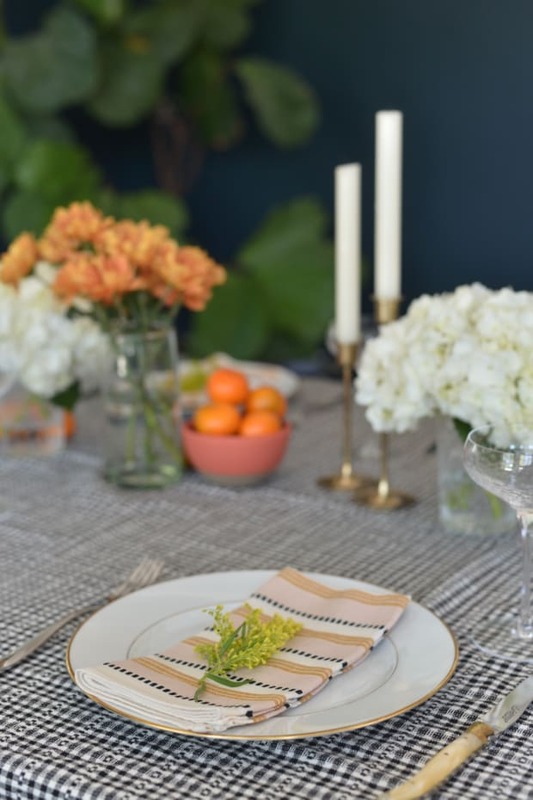 Currently considering buying these French linen-inspired napkins for our table, sending Thank You notes on Monday, using this gold matte serveware, and lighting this cozy palo santo candle post-meal for this year&apos;s feast. 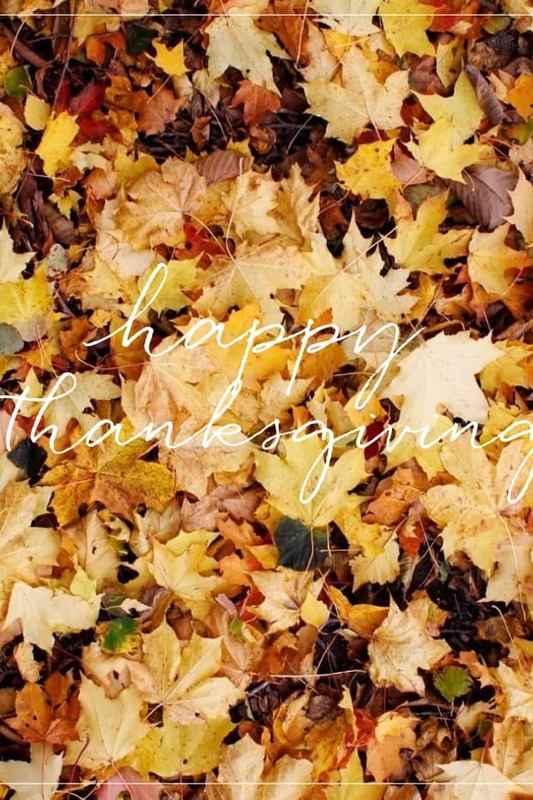 I&apos;d love to hear: What are some of your favorite Thanksgiving tips and tricks? Share in the comments below!